CVS said the pharmacist's "actions did not reflect the company's values or commitment to inclusion"
This Nov. 5, 2013, file photo shows a CVS store in San Francisco, California. A CVS pharmacist who refused to provide a transgender woman her hormone prescription is no longer employed by the pharmacy chain, the company said Friday. As NBC News reported, Hilde Hall said in a statement to the ACLU that she was excited to fill her first hormone therapy prescription after leaving her doctor's office in April, as it would allow her "to start seeing my body reflect my gender identity and the woman I've always known myself to be." But Hall hit a roadblock when she visited the CVS in Fountain HIlls, Arizona, a suburb of Phoenix, and gave the attending pharmacist the three prescriptions prescribed by her doctor, according to her statement. She said that he "refused to fill one of the prescriptions needed to affirm my identity" and "kept asking, loudly and in front of other CVS staff and customers, why I was given the prescriptions." 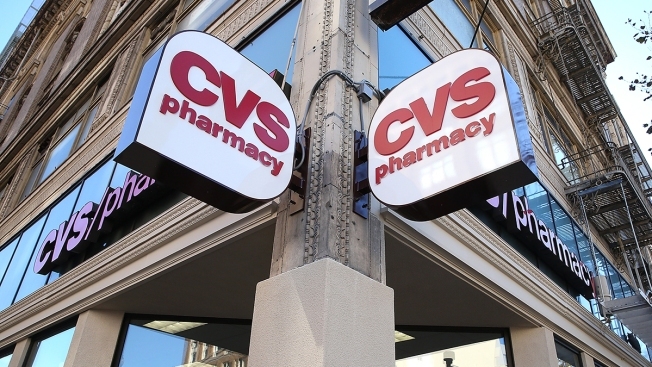 CVS responded to the situation in a statement on Friday, stating that the pharmacist was no longer employed by the chain because he had violated its company policies. "His actions did not reflect the company's values or commitment to inclusion, nondiscrimination and the delivery of outstanding patient care," CVS said in its statement.